A series of water snakes ranges over the North American continent, with some close relatives occurring in Europe. These reptiles frequent the edges of rivers, ponds, and streams, are effective swimmers that forage along the bottom of water courses, and, in some cases, even enter brackish waters along the Atlantic coastal marshes. All water snakes have keeled scales, and the American species give birth to live young. 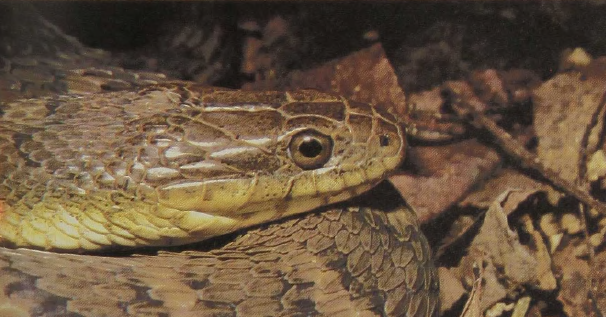 While they are sometimes mistaken for Water Moccasins, the shape of the head proves characteristic: the true Moccasin (page 149) shows a flat head coming to a sharp edge around the front while the head of the harmless water snake is rounded. These snakes may be as large as 4 feet in length, but the average size is less than 3 feet long. 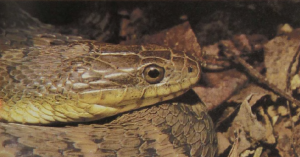 Water snakes feed on various aquatic animals; one species specializes in crayfish.